With many young people becoming inactive, we were approached by Yorkshire Sport Foundation to undertake a project that would gain insight into the relationship that young people have with sport and physical activity. This research would then be tested with two pilot projects to discover if the power of peer-to-peer learning and co-creation could be used to get young people to create an in-school sports club that would attract those not tradionally engaged in sport. The first part of the project involved running eight focus groups in schools in West Yorkshire. Using our HybridQQ model, we were able to sample participants and evaluate in real time. This technique is particularly effective with young people, as it allows non-confident teens to have an equal say and avoids sessions being dominated by louder and more vocal participants. In total 215 young people took part and from here we discovered eight key findings related to the relationship that young people have with sport and talking part in activities. 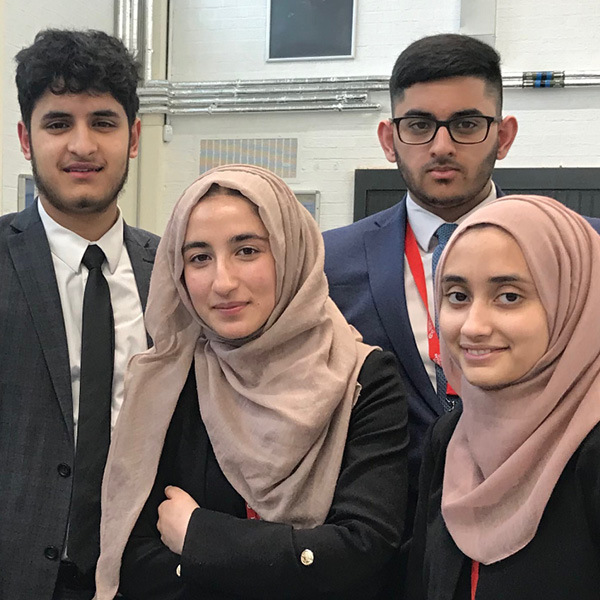 This research was then tested with the process of establishing clubs in two schools: Trinity Academy in Halifax and Dixons McMillan Academy in Bradford. We used our Creative Experience Co-creation framework as a basis and over six sessions we mentored two groups of Year 12 students. During the six week project the groups used the initial research as a basis and from here shaped a unique club for the students of their school. Both ran extensive quantatitive research projects and over 500 students in each school took part. The groups then made decisions on the type of club to set up, interviewed potential leaders to run the sessions and promoted the clubs in high traffic areas. Dixons McMillan Academy set up a Mixed Martial Club whilst Trinity Academy decided on a Mixed Gym session. The club sessions were entirely voluntary and over twenty students attended the each of the club sessions that were run. Following completion of the project, a full debrief was held and all the research and learning handed over. Six sessions run with over 30 students who gained valuable employability skills and experience of working with a 'real company' and on a 'real project'.